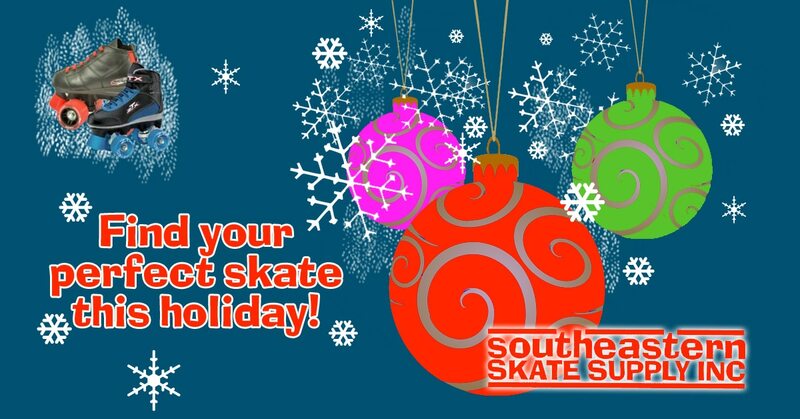 Perfect Holiday Gifts From SE Skate! Can you believe it’s the holidays already? We can’t either! We know it can be difficult to get original with your holiday gifts and stocking stuffers; but we think we’ve come up with a solution! Here’s everything we have to offer. Skates: We have a huge variety of all types of skates! We have inline skates, hockey skates, quad skates and more! We also have plates, boots, heels, etc. that you can purchase separately. Skating Rink Equipment: In addition to our skates, we also have equipment including snack bar equipment, snack bar seating, carpet and rink signs. Novelties! We have a ton of cool prizes that rinks use, however they also make great stocking stuffers! We have pens/pencils, puzzles and games, stickers, sunglasses and more! Our items at SE Skate are one of a kind gifts! We have a variety of options so you can find something for everybody. Skates are something that won’t wear down and you can use for years and years to come! Check back to this post and on our Facebook page for our full catalog coming soon! You can also submit to our newsletter for company updates and more!